An excitement moment in the life of astronomers happened recently when they received images of early stages of a new galaxy taking shape. 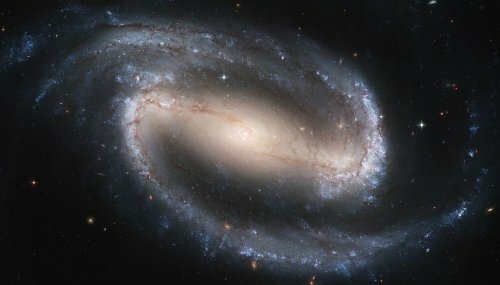 When NASA announced the discovery last month, astronomers called the new galaxy “Sparky” in reference to its intensity. The news is likely to renew public’s interest in astronomy, as Professor Gregory Rudnick at the Kansas University estimates. The amazing aspect of the news is that Sparky is so far from Earth, it takes light leaving that galaxy about 11 billion years to reach us. Folks… that is a huge distance! Contrast the distance with the meager 8 minutes it takes light from Sun to reach us from 93 million miles away from Earth. Rudnick is part of a team that in 2013 documented the process of galaxy formation it its early stages, similar to Sparky. He also said there was no information on how the objects looked before taking shape, and how far they were. In the case of Sparky though, scientists were able to estimate the size of the galaxy to about 6,000 light years across, and despite its relatively small size, has almost the double of stars in Milky Way.